Writing well isn’t difficult, though many people struggle to compose quality content. Each day hundreds of people find challenges in improving their English writing skills. Well, improving your English writing skills can be a little trickier than improving your reading skills. However, it’s relatively easier to brush up on your English writing skills than many people believe. 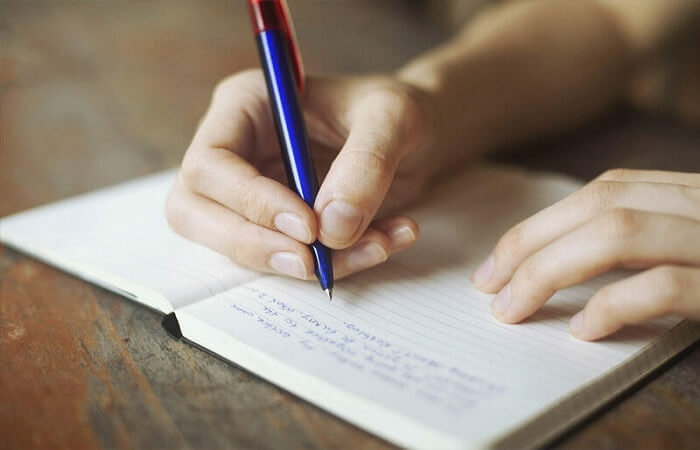 In this post, we’ll look at the 5 ways you can quickly improve your English writing skills. So, it gets much easier for you to produce quality content that can appeal to readers. The importance of vocabulary in producing a quality can’t be denied by any means. A good vocabulary is an indispensable writing tool required to compose quality content of any nature. If you don’t have a strong vocabulary it will be difficult for you to express your thoughts and emotions perfectly the way you like. However, it’s not just being able to recognize lots of words. It’s equally important to exactly to know how and where to use them correctly in your content. This can be done by learning new words with examples. To develop a strong vocabulary it’s good to read books with rich vocabulary which will allow you to understand the context in which the words are being used. You may have heard people saying, “You learn best by reading”. Well, that’s true. Reading regularly assists in improving our writing skills in many ways. Not only it gives us a good idea on how different types of content are composed, but also allows us to understand and analyze how to use words differently. It’s good to read everything that comes your way. From Magazines, newspapers, books, pamphlets to reports, and everything that is accessible. However, to start with, read about topics that interest you and make sure you get a moderate understanding of how to use different words and expressions in the text. Like in any other language, grammar in the English language is the foundation for perfect communication in words. Poor grammar makes the content difficult to read and understand. It makes it all difficult for readers to understand what exactly the writer is talking about. On the other hand, good grammar significantly improves the quality of your writing. It makes your content sound logical and take readers attention, it’s always important to use appropriate tense and use the right punctuation when developing your content. In addition, good use of grammar in your content keeps you from being misunderstood while expressing your thoughts and opinion. If you are really want to improve your English writing skills, you need to constantly practice writing and take feedback from others. Try to copywriting tactics from good writers a few times; meanwhile, find someone to give you immediate feedback on the quality of your work. It will be great if you find a native English speaker to help you find mistakes in your content. Not only he or she can correct your mistakes but can also assist you to learn from your mistakes, so that you can improve on the quality of your writing next time. There are many free or low-cost writing courses that can easily take online. They are for anyone who wants to improve on their writing abilities from the basics, and then become a quality writer clearing all the advanced level writing skills tests. Improving your writing skills in this way is great because these courses are designed by the professionals and guarantee improvements. Kirsten Pike is an experienced blogger and professional academic writer at 6 Pound Essay – Essay Writing Service. Over the years she has been a tremendous source of academic writing assistance for students all over the world. She mostly writes articles on topics related to education, entrepreneurship, and the business world.